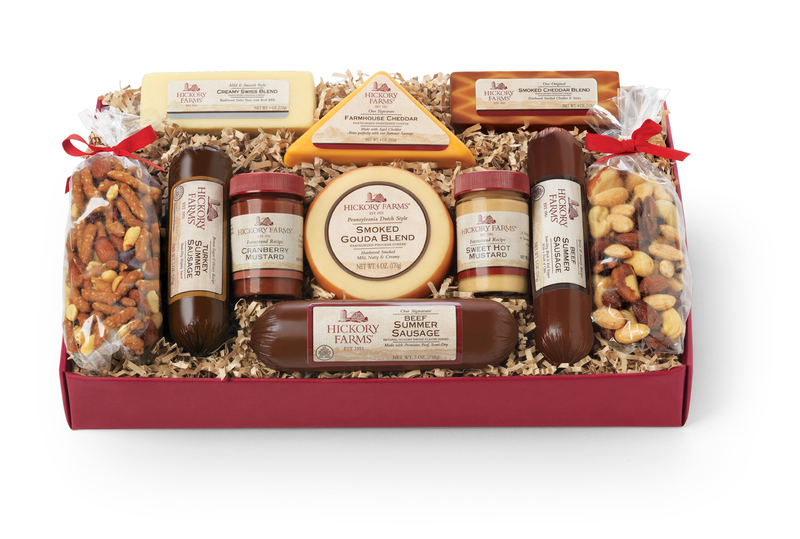 The Party Planner Gift Box that supports Share Our Strength’s No Kid Hungry Campaign. Hickory Farms will donate $5.00 Share Our Strength’s No Kid Hungry Campaign with each Party Planner Gift Box sold this year. The Family Favorites box is perfect for small families like mine. 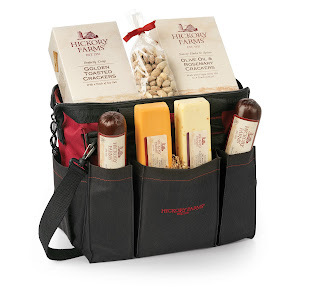 If you are looking for an extra gifty thing to go with your gift basket, The Pack and Go Picnic Tote is amazingly useful. I have a similar insulated tote bag I use for frozen and refrigerated food when grocery shopping. Last summer Husband and I used it as a picnic basket to a music festival instead of our basket and like it so much we may not be going back to the wicker basket. I also like the Tastes of the Trade Tool Bag because this type of tool tote is more practical for me than my hard sided toolboxes. Although I am a little peeved Hickory Farms markets it as a gift for men who use tools instead of people who use tools (says the lady with the DIY blog.) On the other hand, most of the time I buy Hickory Farms for a guy on my gift list so there’s that. They know their audience. 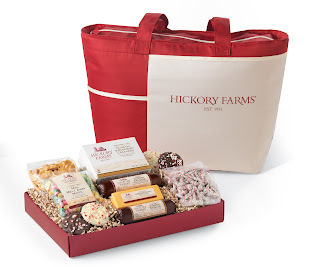 Do you want to win a Hickory Farms gift basket? Of course you do! Read on. Many Americans have a distinct memory of Hickory Farms at their holiday gatherings; Hickory Farms is very proud to be a part of those nostalgic moments and continues to focus on and celebrate its long heritage of tradition and authentic holiday memories. 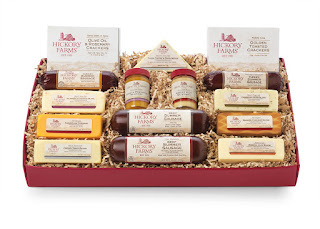 You will win the Hickory Farms Family Favorites gift basket I received for review. This collection of classics includes two Beef Summer Sausages and Farmhouse Cheddar and Smoked Cheddar cheeses (ours were quickly snarfed by Husband. He tells me I really missed out), Olive Oil & Rosemary Crackers (co-opted by me. Yum!) and Mini Melt Aways. To enter: I will use a random number generator to select the winner. 1. Leave a comment below about your favorite holiday memory. It doesn’t have to be a Christmas memory – especially if you don’t celebrate Christmas – any fun or funny holiday memory will do. 2. Like Condo Blues/Lazy Budget Chef on Facebook. 3. Follow Me (Condo Blues) on Pinterest. 4. 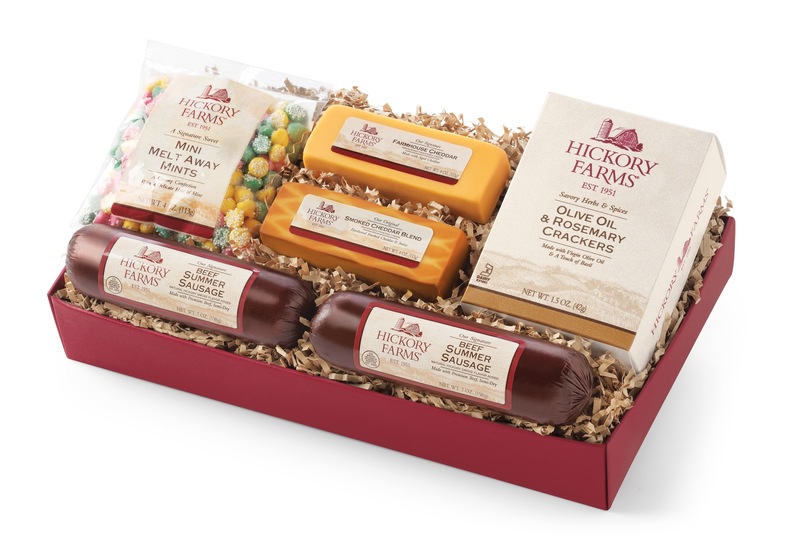 Follow me (@condoblues) on Twitter and tweet "Visit Lazy Budget Chef for a chance to win a Hickory Farms Gift Basket Giveaway #giveaway #contest " on Twitter. If you choose to enter using all of the methods listed above, you will have five chances to win! 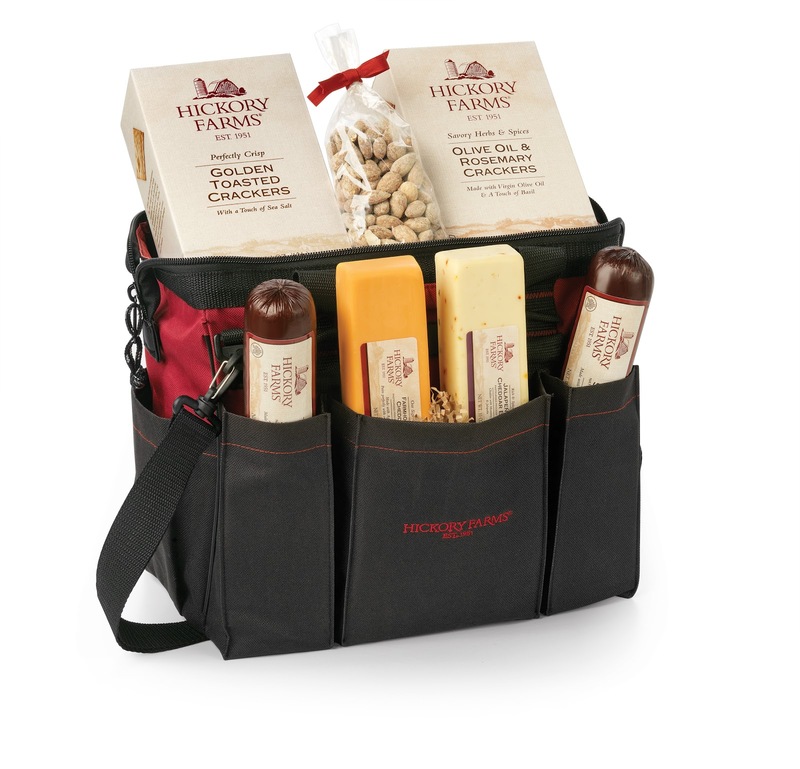 The Lazy Budget Chef Hickory Farms Giveaway will run from November 15, 2012 to December 1, 2012 12:00 AM EST. I will use a random number generator to select the winner. favorite Christmas memory is from when I was a child. My mom would always pin curl her own hair and then do mine and my sister's hair. All of our Christmas morning photos are of us with those silly bobby pins in our hair! My favorite holiday memory is making Christmas cookies with my mom. She was making the frosting and dropped the whole package of powdered sugar into the mixer while it was on. It exploded all over the kitchen and we had a huge powdered sugar fight. So. Much. Fun. Of course we had to clean it up to, but I only remember the fun and seeing my mom covered in sugar from head to toe. my youngest was born just a couple of weeks before christmas just two years ago! it was such a special time to have a new little one in our lives and celebrate with family at the same time! Christmas time when I was in elementary school - all the holiday music, choir practice, plays, crafts, and the general excitement leading up to holiday vacation. We do a lot of baking and eating cookies in DEC..